Cleveland Consumer Camp is being held at the Microsoft Store at Beachwood Place Mall. Microsoft is providing food & drink and would like a head count. By registering, you get an extra raffle ticket. Join Microsoft Most Valuable Professional (MVP) Sarah Dutkiewicz as she hosts the first Consumer Camp here at the Beachwood Microsoft Store. The store is located inside Beachwood Place on the lower level by Nordstrom. At this event, we'll focus on how you can best use Xbox & Kinect, SkyDrive, Surface, and Windows Phone. We may show scenarios of the devices together, as well as scenarios of the items separately. 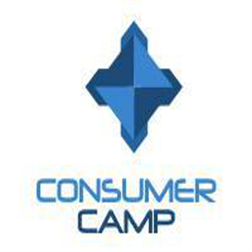 Consumer Camp is an initiative designed to showcase Microsoft’s consumer-facing technologies, through education and engagement. 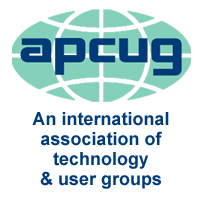 We are a passionate group of individuals who want to help the average consumer unlock the full potential available through Microsoft’s services and devices. Where have these Consumer Camp events happened? Some of these events have happened at Microsoft Stores throughout the country. Sarah has been able to participate in one at the Bellevue Microsoft Store in Bellevue, WA and is working with Xbox MVP and Consumer Camp Director Marques Lyon to make sure that the Consumer Camp experience brought here to Cleveland is similar to those on the west coast. Sarah Dutkiewicz is a seasoned technology professional and has been working in a variety of technologies for over a decade. Sarah’s well-rounded background includes roles as technical support, desktop support, database administrator, system administrator, professional developer, and business owner. Sarah’s true passion comes from developing software with great user experiences. She is a Microsoft MVP in Visual C# and is deeply passionate about the technical community. Sarah’s many community activities include blogging, running a technical community website, planning events, book writing, and speaking at local and regional conferences. Sarah is the owner of Cleveland Tech Consulting, LLC and the owner and administrator of Cleveland Tech Events. She is a co-author and technical editor of Automating Microsoft Windows Server 2008 R2 with Windows PowerShell 2.0, Sybex.